Life is full of surprises and rarely does it go as planned, so it’s essential to prepare for those moments when you require an additional financial cushion. Setting up an emergency fund is vital to your financial health. An unexpected home repair, job loss or sickness could cause significant economic distress if you aren’t prepared. However, establishing an emergency fund is not easy since saving money on a regular basis usually requires a great deal of personal discipline. The best way to start building an emergency fund is to rethink the way you approach it. Instead of thinking about the things that you will sacrifice, start thinking about the fact that you are preparing for the unexpected. Here are simple ways to build an emergency fund. This should be the first thing to do once you decide to start building your emergency fund. Set a specific goal in yourmind that you wish to achieve. While your saving goal should depend on your income and expenses, make sure you save what is enough to cover three to six months’ worth of your expenses. Most financial planners recommend saving between 10 and 15 percent of your entire income. However, don’t worry if you can’t set aside that amount each month, which brings us to the second point. 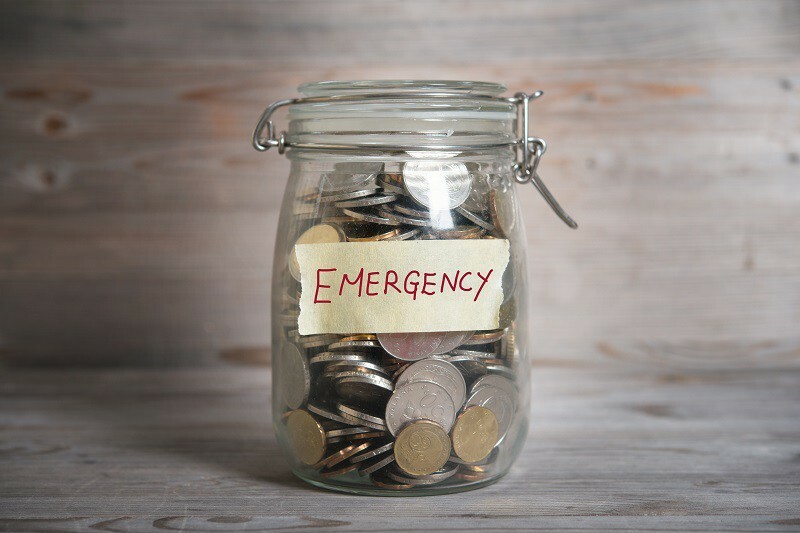 As mentioned above, having an emergency fund is a critical part of being financially secure, but it can be tough tofind the money to save every month. Things might be even more terrible if you are paying down an emergency loan that you took sometimes back or clearing your credit card debt. Therefore, don’t be afraid to start small and climb theladder as time goes by. Just make sure that you are saving something, even if it’s only $4 in a day. I know what you are thinking at this time: “Do you think that I can build a good emergency fund by throwing coins in my piggy bank?” Maybe your answer is no, but remember the fact that every little effort helps. If children can save a lot of money by collecting the spare change from their parents, why not you? The most exciting part is that you won’t even miss that spare change floating underneath your purse or jingling in your pocket. If you are unable to develop a savings habit, then have a small portion of your paycheck automatically wired to yoursavings account every month. If your biggest problem is impulse spending, then consider setting up a savings account that is not connected to your checking account in any way. This means that it will take extra effort to withdraw the funds which help in cutting down the urge to withdraw the funds for unnecessary purchases. If you already have a budget, then you are ahead of the game compared to many Canadians who don’t have one. However, this doesn’t mean that your budget is the best when it comes to serving your financial needs. If you are looking to build an emergency fund, you will need to reexamine your budget and find ways of cutting down your expenditure. This means that you curb your leisure spending or cancel your cable package.